I grew up with dogs. Peppy, our black toy poodle, was my first dog. We then migrated to a blond Cocker Spaniel and a couple of German Shepherds, even taking in a retired police dog named Buddah. He was solid black and beautiful. Over the last few decades, we’ve opened our home to a West Highland Terrier, a Golden Retriever, an Australian Shepherd, a Bichon-Skye Terrier mix, and our latest baby, Pippa, a 10-month-old mini-schnauzer (photo – with Rudy the Bichon-mix in the background). I love each of them equally. Dogs are joy and unconditional love. Period. I’ve also expanded my puppy kingdom by raising dog-loving children, and now I have grand-dogs – a Husky, a Sheltie, a long-haired Dachshund, and a wire-haired Dachshund. If you’re a dog person, you know all these breeds. If you’re not, you may need help picking out your first dog. Get one! You won’t regret it. There are many moments in my life where “The Twilight Zone” theme music should be playing in the background. I call those moments Synchronicity – the times I know I’m on the right path. I’ve been so stinkin’ busy the last five months, I’ve not written any blogs, I’ve not worked on my book “Witch Dance” that I wanted to release September 21st (umm, what is the date today? crap. ), I’ve not marketed, edited, or completed much. Of course, with the lack of progress on my book and the work-a-holic that I am, I’ve felt a bit of despair. I guess the feeling has been akin to failure, or loser, or slacker, or something. Well, I had a moment of Synchronicity that changed my mind. The last few months I’ve been looking for a puppy. Our 10-year-old Bichon/Terrier mix, Rudy, has been lonely since we put our Aussie down last summer. Trophy husband and I are both gone to work all day (yes, I got a new job. more about that in a later blog), and Rudy sits alone by himself and pouts. He’s never been alone before – his whole life. His tail is droppy. His smile has faded. I needed to find him a friend. 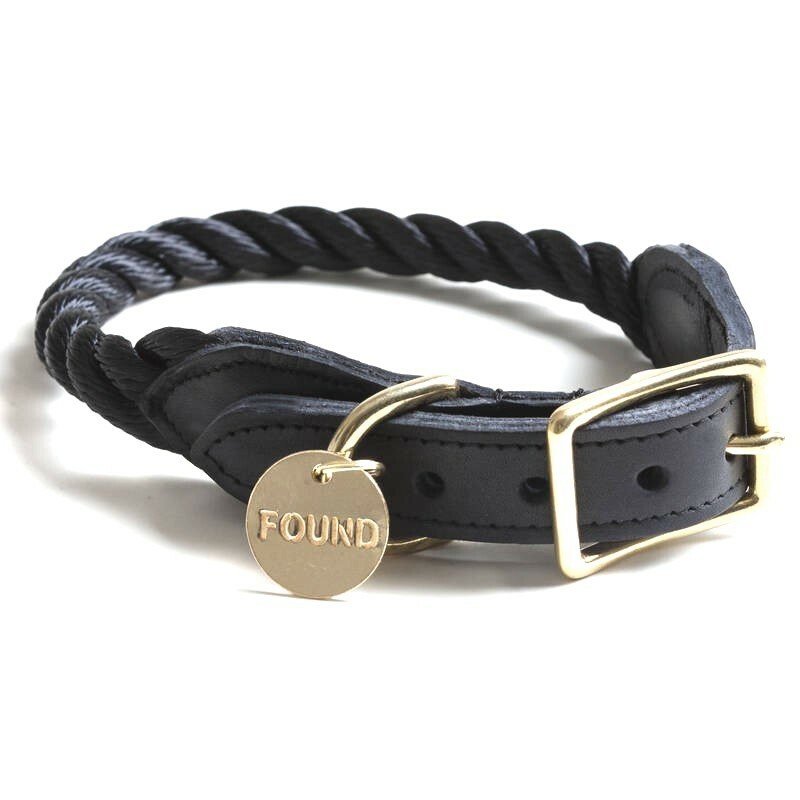 I’ve had a few close calls in finding a puppy at some local county shelters and rescues, but nothing has panned out. Yet one failure after another. I found a couple puppies in the newspaper, but I never got responses to my emails. Three weeks ago, I found a 10-week-old Miniature Schnauzer on Craigs List. I emailed the owner and within a few hours I was picking her up. The woman only had her for two weeks and thought raising a puppy was too time consuming, so she was looking for a new home for the little girl. She had named her Bella. On the drive home with little Bella in my lap, trophy husband and I tossed out a hundred names. We didn’t think Bella really fit her. Piper. Pepper. Peanut. Etc. When Pippa came out of my mouth, I knew that was it! She looks like a Pippa. She acts like a Pippa. Trophy husband said, “You mean like the Princess’s sister?” First, I was surprised that he knew who the Princess was, much less her sister. Second, he said it with a mild disgust in his tone. I didn’t think he liked it, but I was determined this dog would be named Pippa. Two weeks passed. I still hadn’t worked on my book, but now I had a new excuse. I have a puppy, which is a time consuming responsibility. I figured this little girl was probably due for some vaccinations, so I pulled out the folder the woman gave us that had “Bella” written on the front. I hadn’t opened it since she gave it to us. I was busy. New puppy and all. So, I thumbed through the papers inside and found the breeder’s paperwork in the back. Written on the breeder’s paperwork was “salt & pepper” and in large capital letters at the top of the page, “PIPPA“! Yes, her name is Pippa, apparently has been since the day she was born. Yes, she is meant to be with us. She is the dog we are supposed to have. The disappointments over getting a dog from a rescue were not failures, they were leading us down the path to Pippa. Rudy’s smile has returned. His tail is wagging again! The book can wait. I have a new puppy. 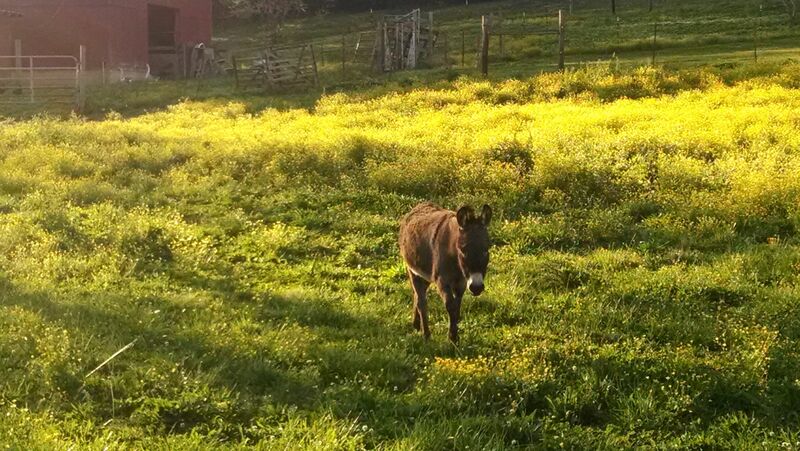 If you’re not signed up for my author newsletter, you don’t know what’s up with this donkey! CLICK HERE!! to find out. My latest newsletter is filled with info about new books, recent awards, and coming stuff, including a giveaway of my new book STUCKEY’S LEGACY. I’m giving the book away this Saturday, before it is available to the public, so pop over and enter. CLICK HERE!! If you don’t want to sign up but would like to see the latest newsletter and enter to win my new book, you can do that, too. See? We’re easy around here. Simply CLICK HERE!! Holy cow, the last month as been NUTZZZ! I moved from Michigan to Tennessee on May 1st. Whew, that was a lot of work! 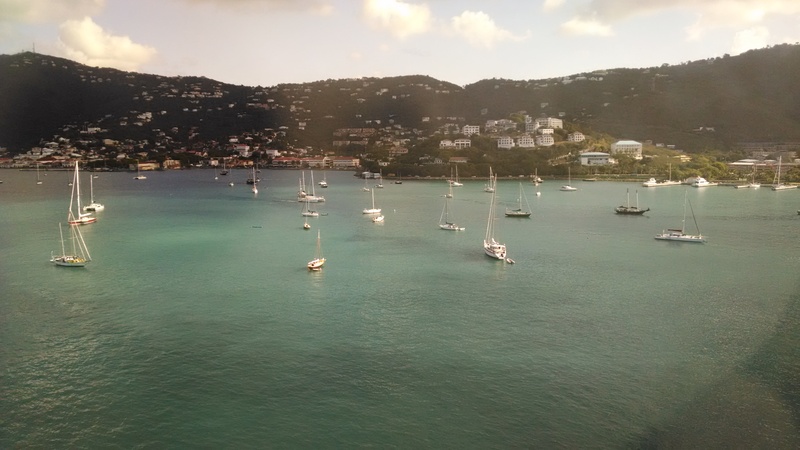 I felt kinda bad that I went to work on May 3rd for two weeks and left my trophy husband in Tennessee to deal with the movers, the dogs, and his new job, but I had to sit on a beach in St. Maarten and get paid. (I work for Norwegian Cruise Lines, if you don’t know.) So, trophy husband unpacked boxes as best he could and regularly emailed me pictures of the house. I was so happy to see all our stuff made it, but I must admit, my first thoughts were, “Hey, that doesn’t go there. Why would he put those things on that table? That other stuff should go there, and move those things to the other place.” LOL. Poor guy. Well, it was so cool to fly into Nashville on Saturday to come home. I’ve been home for two days and have most of our belongings sorted out. I’m still finding things we didn’t unpack when we moved three years ago, but it’s fun to go through it. In case you missed it, we now have a farm and poor trophy husband has a lot to do. While we were driving down from Michigan (eight hours in the car with two dogs panting and turning it into a smelly steam room), one of the six moo moos had a calf. 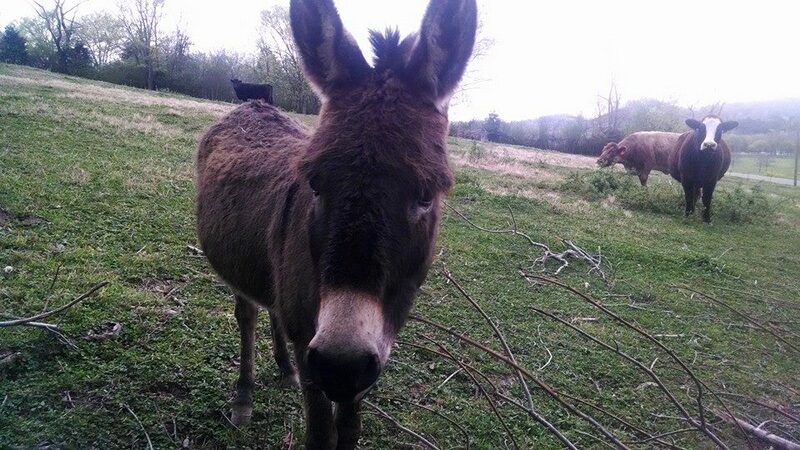 I called her Peanut (standing on the left), which will be totally wrong when she weighs 900 pounds, but I don’t care. 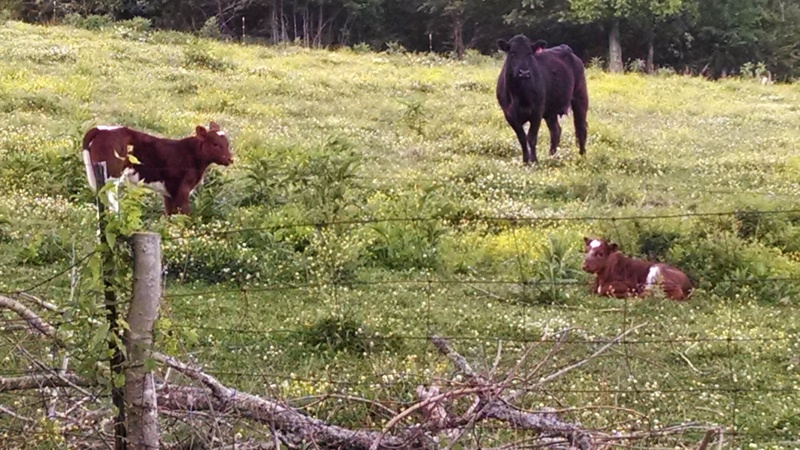 While I was away last week, we had the second calf. I named her Buttercup (laying down on the right). They are precious!! 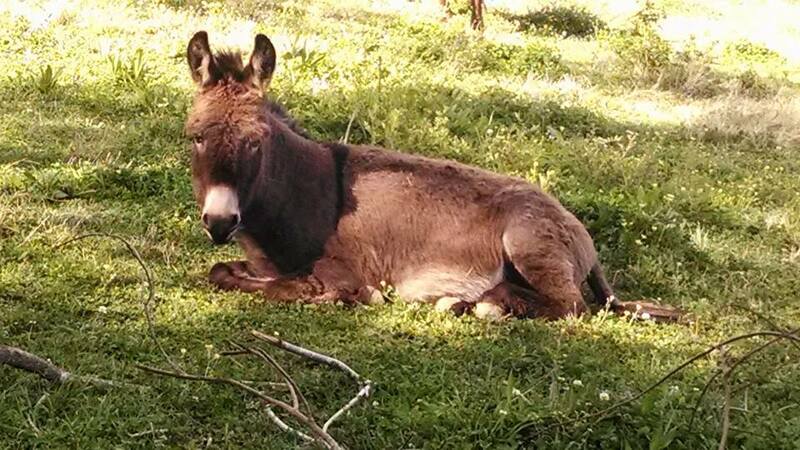 While I was gone, Twister (the neurotic donkey) apparently went into the chicken enclosure and wouldn’t come out. He’s out now and back with his buddies, but he was a poor little loner for over a week. 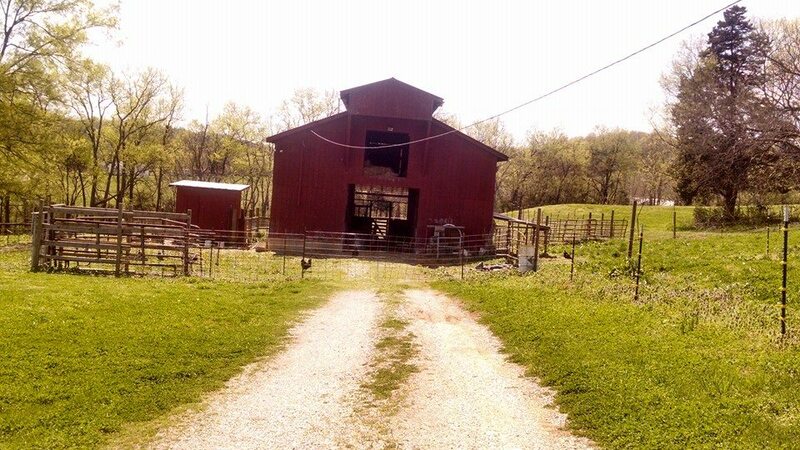 My house sits by the barn and the chickens, and I haven’t seen Twister since I’ve returned home. He may be a little freaked out by the whole experience. He’s hiding on the back of the property. 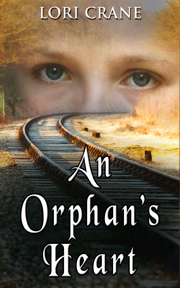 Also while I was gone, my book “An Orphan’s Heart,” was named as a finalist in the 2014 Eric Hoffer Awards. I’m tickled pink! The sequel to “Stuckey’s Bridge” is coming out in two weeks. 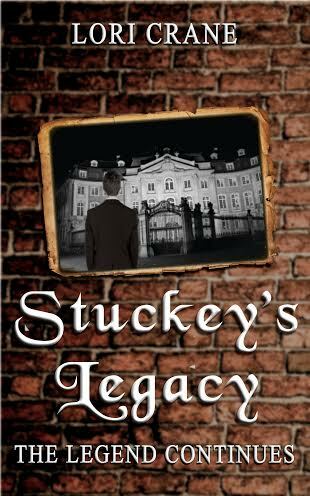 “Stuckey’s Legacy” will hit the shelves on June 1st. While I was on the ship, I finished writing the third in the trilogy. “Stuckey’s Gold” is now in the pipeline and will be out in August. If you haven’t read “Stuckey’s Bridge” yet, get busy. I think that’s all the news. I’m leaving Sunday for Bermuda for nine weeks, so I won’t be around until the end of July. Have a great summer and I’ll yack at y’all soon! Beverly Hillbillies in reverse. We live in Michigan and we’re moving to Tennessee…NEXT WEEK! Early Sunday morning, I got a response to my email which was uber-strange, stating the owner worked for the UN and was being transferred to South Africa, and asking questions like ‘Can you attach a photo?’ ‘How much can you put down upfront?’ ‘What’s your birth date?’ It was more than a little weird, so you know me, I Googled it. Turns out it was a scam. It’s been running since 2009. They get your info, you send them a lot of money, and you don’t get the house. I searched online and found the REAL real estate agent and sent her an email, telling her there was some fraudulent activity going on with that property. In the car on the way to Nashville an hour later, I got an email from her asking me to call her. I did and we spoke about the email I had received, which I offered to forward to her. I also asked (since I had her on the phone) if I could set up an appointment with her (since she’s a real estate agent and I’m looking for a house). Monday morning (April 14), I dropped hubby off at the new job and went driving around. Armed with coffee, my GPS, and a list of 20 houses, my plan was to look at all of them before meeting with the real estate agent at noon. All of the houses were in dinky neighborhoods with no yards. I hated them. I’m a country girl. Give me room. Give me grass. Finally, I ended up at the farmhouse I had originally emailed about. I was in LOVE. 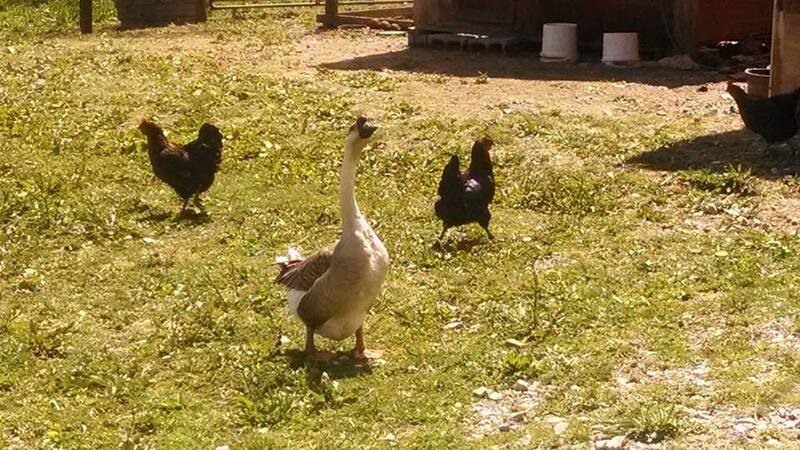 There were cows and a donkey next to the house…chickens and geese in the barn…and a beautiful 150-yr-old farmhouse. I texted back, “Just did! 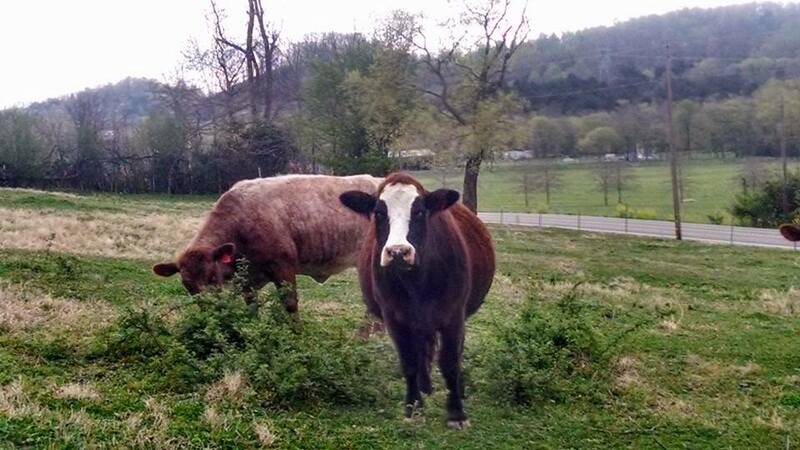 Check your email.” I sent him pictures of the cows and the house, and I headed to the real estate office. 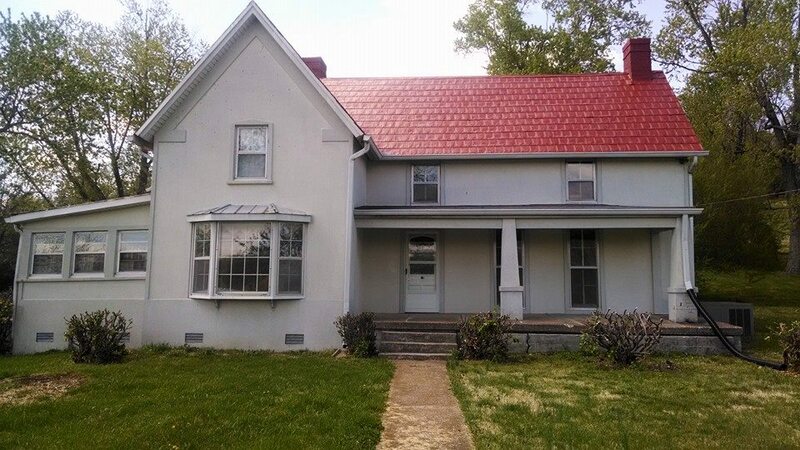 The agent showed me some houses on her laptop (some of which I had just driven by) and I told her the one I really loved was the old farmhouse. She told me all about the history of the house and the land. I asked her why she knew so much about the property. We signed the papers Thursday morning (Apr 17) before we left, and we’re now back in Michigan packing. The movers are coming Apr 29! I gotta go….